As the 10th BRICS Summit in South Africa approaches, member countries are turning their resources to boosting African development. 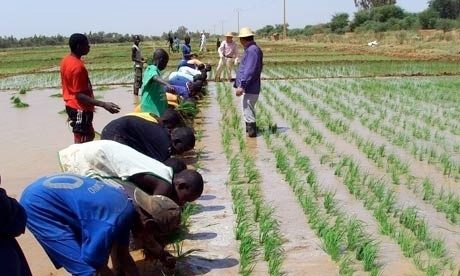 On Wednesday, Chinese Agriculture Minister Hang Changfu told members of the national legislature that Beijing is ready to share its skills and technologies to enhance food development in Africa. He said that China could use the experties it applied to producing 600 million tons of grain in 2017 to help Africa boost its food supply. “China plays an active role in addressing the problem of food security in African countries, and we will continue to strengthen cooperation with them,” he said. But he also encouraged African countries, particularly the least developed ones, to work toward finding solutions to food scarcity. Food security in Africa has always been a primary concern for BRICS. During the past summits, BRICS heads of state have formed common ground to alleviate the impact of climate change on global food security. “BRICS countries are an important grouping to deal with the global food crisis, promote global economic recovery and play an important role in global initiatives on food security,” their communiques have reiterated. Africa remains the region with the highest prevalence of undernourishment, according to the Food and Agriculture Organization. One in eight people around the world is chronically undernourished, said the UN.